Just for fun, on a recent visit to my favorite grocery, I counted. and over 800 different types of wine. Not bottles…the total bottle count would be in the thousands… but over 800 different types of wine. That’s a lot to sort out. 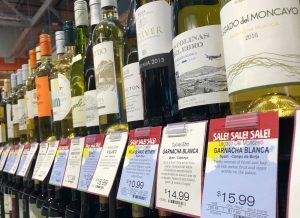 But there are ways to make your grocery/supermarket wine buying process faster, simpler and more satisfying. We have some tips to help you successfully tackle the wall of wine. 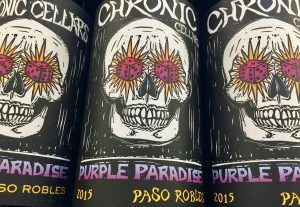 “I liked the label so I bought the wine.” Been there, done that? We all have. Just know that there is no correlation between the quality of the label design and the quality of the wine. Labels are designed to prompt you to pull the bottle off the shelf. Studies say that if you actually hold the bottle, you are 50% more likely to buy that wine. Ah, the power of marketing. If your wine buying decisions are based solely on label aesthetics, be prepared to kiss a lot of frogs. The descriptors, which almost always appear on the back of the label, can be helpful, both in determining what to buy and what NOT to buy. 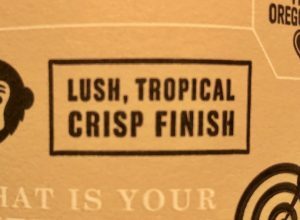 If a “lush tropical crisp finish” sounds good to you, bingo. If not, move on. Also, be wary of the oversell. 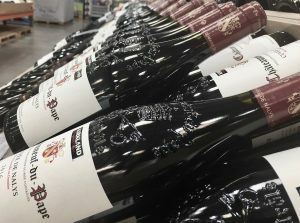 If that $10 bottle is boasting of its “finesse, rich texture and long, silky finish”, it’s probably too good to be true. 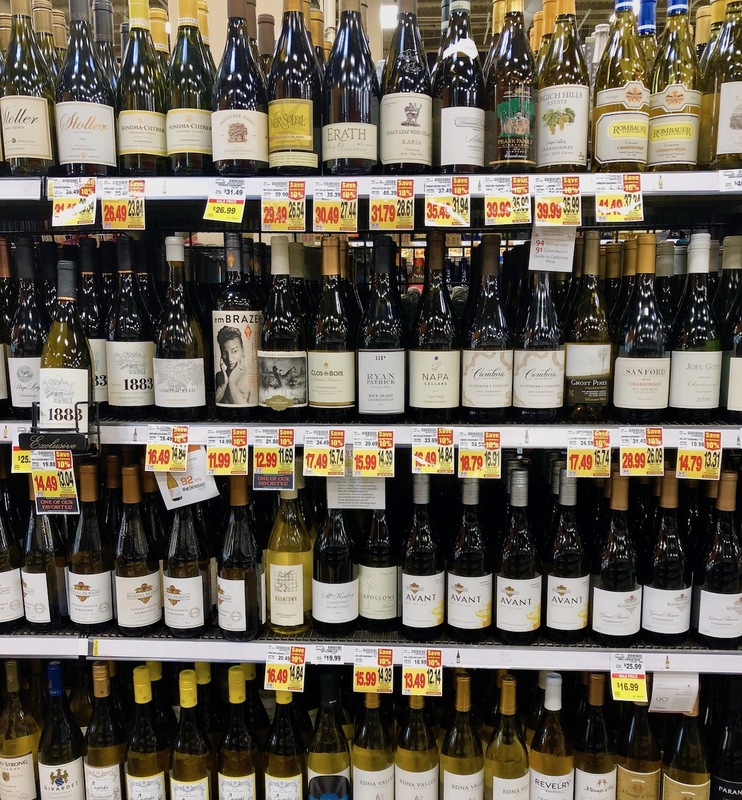 Almost all grocery store wine is meant to be drunk, not aged. 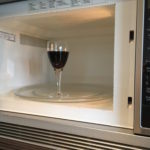 The latest research I found claimed that 90% of wine is meant to be consumed within a year of production. 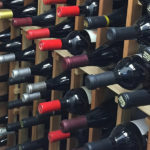 Rule of thumb: if a white wine is more than two years old or a red wine is more than three years old, put those bottles back on the shelf and look for wines from more recent vintages. Vivino and Delectable are the two most popular wine-buying apps. 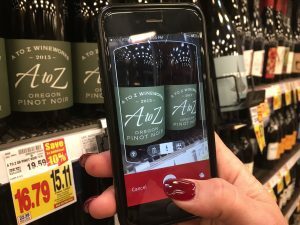 Take a picture of the label and receive information about and reviews of that wine. Both Vivino and Delectable come with caveats. They don’t cover every bottle or every vintage. Once you download the app and provide your information, you will receive offers and solicitations. Thus, neither is perfect. 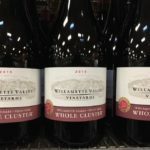 But their massive data bases do include insight on most supermarket wines which can be very helpful during the shopping process. 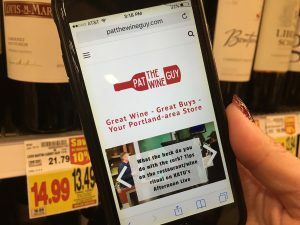 PTWG does not have the firepower (or financial backing) of the big wine-buying apps. 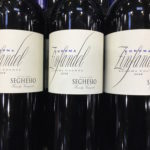 But we dig down into the specifics, telling you exactly which stores carry our recommended wines and what you’ll pay for that wine at each location. Our website is mobile friendly and easily accessible in any store. We suggest you spend a few moments on our site before you go shopping to narrow your choices and expedite your drive. 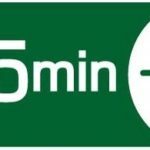 That will save you a tone of time once you’re actually in the store. 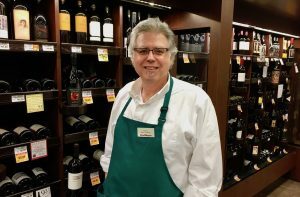 This is my good friend, Gary Grilli, the wine steward at Walker Road Fred Meyer in Beaverton. Gary has been helping customers like me for decades. Gary is the epitome of a solid steward. 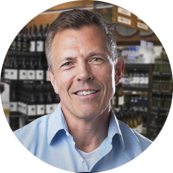 He finds out what type of wine you like, steers you in the direction of good wines/good buys that will appeal to you and doesn’t push any products that aren’t in your wheelhouse. A good wine steward saves you time and money. And of course, they have a vested interest in making you happy. If you’re happy, you’ll be back. The simple fact is…there’s too much wine out there. These tips should narrow your search and keep your frog kissing to a minimum.